A few weeks ago, we asked US members via Toluna QuickSurveys about their habits and preferences for summer fruits. 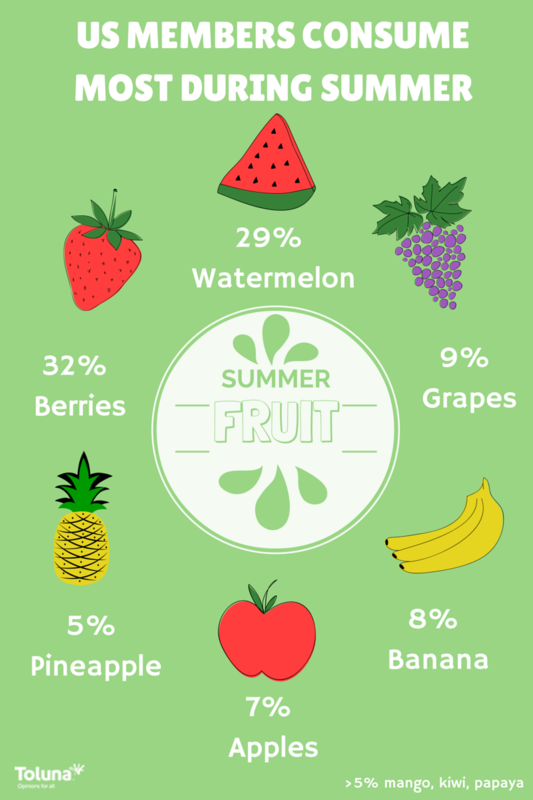 Berries and watermelon are by far the most consumed summer fruits. Take a look at the infographic below to see the results. Perhaps you were inspired by today’s infographic. Login to Toluna today to create your own poll and gather your friend’s opinions!